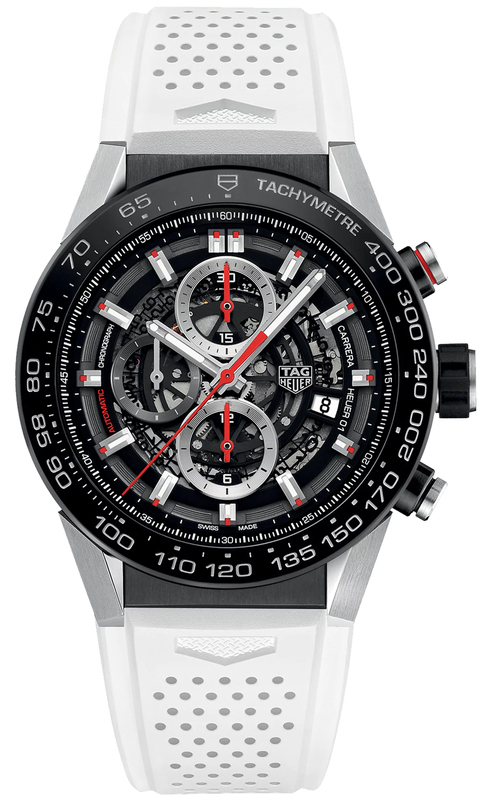 Buy this new Tag Heuer Carrera Caliber Heuer 01 Skeleton 45mm car2a1z.ft6051 mens watch for the discount price of £3,697.00. UK Retailer. Bezel: Fine brushed black titanium carbide coated steel bezel with grey engraved tachymeter scale.